The Cat C9.3B engine has been awarded EU Stage V emissions certification and is now in production — more than 10 months ahead of the industry’s newest and most stringent regulatory requirements. 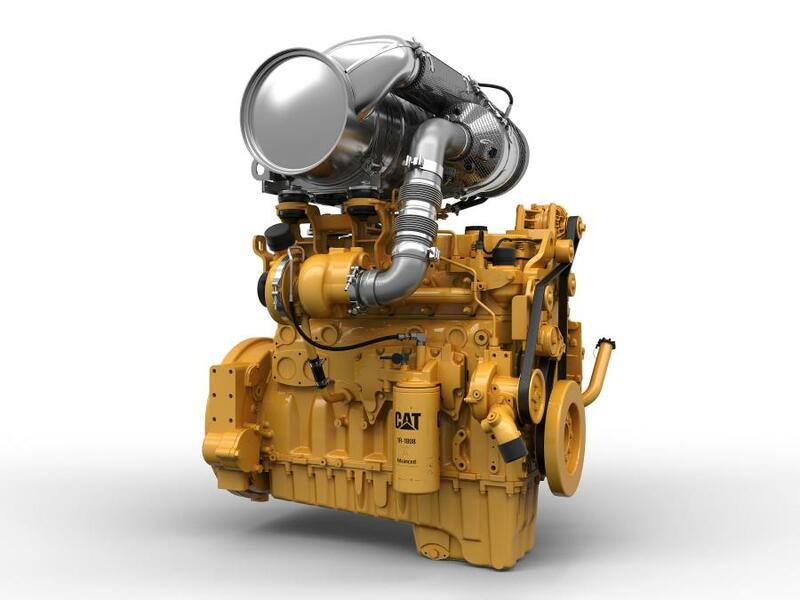 Caterpillar currently is developing productive, fuel-efficient, power-dense, EU Stage V-compliant engines across its industrial product line, from the two-cylinder C0.5, to the 12-cylinder, 32-liter C32. Goals for Cat Stage V engines include developing more efficient after-treatment systems, simplifying installation in OEM-customer machines, and providing added value for end users of OEM machines — through increased productivity, increased fuel efficiency and exceptional reliability. The Cat C9.3B engine, for example, has been awarded EU Stage V emissions certification and is now in production — more than 10 months ahead of the industry's newest and most stringent regulatory requirements. The C9.3B combines a new high-pressure/common-rail fuel system with simplified systems for air, electrical, and after-treatment to produce up to 456 hp (340 kW) of power and 2088 Nm (1,540 lb.-ft.) of torque, resulting in 18 percent more power, 21 percent more torque and 12 percent less weight, compared with its predecessor, according to the manufacturer. “End users will see this refinement pay off with increased performance, up to 3 percent less fuel consumption and exceptional starting capability in cold climates,” said Moore. In addition to the C9.3B, the Cat large-engine, EU Stage V lineup also includes the 12.5-liter C13B, incorporating technology similar to that of the C9.3B and with power ratings to 577 hp (430 kW). Caterpillar also is certifying its existing C13, C15, and C18 EU Stage IV/U.S. EPA Tier IV-Final engines to meet EU Stage V emission standards. Stage V certification for these engines will be achieved with no changes to customer interface points and with only minimal changes to the DPF, allowing customers to focus on overall improvement of their products. Cat engines and DPF solutions in this range have nearly 170 million hours of proven field performance. Dual-label certification — EU Stage V/U.S. EPA Tier IV-Final (and Japan 2014/Korea Tier 4-Final) — will be offered for the C9.3B and all other Cat products in the 335-to-800 hp (250-to-597 kW) power range. This flexibility allows customers to develop commonality in products, parts, and service across various regions. With products for lesser-regulated countries that have similar performance and share common core-engine components, machine interfaces, and control architecture, the Cat product range is suited for a global customer base, supported by the Cat dealer network. For more information about Stage V engines, visit www.cat.com/stagev.